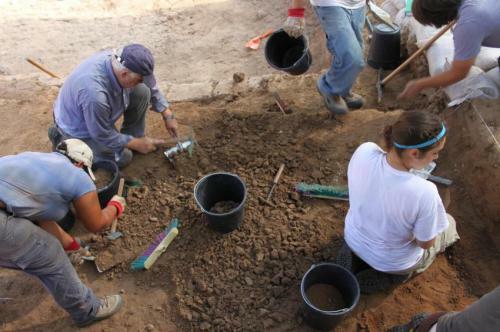 The Old Testament Studies and Biblical Archaeology division of the Faculty of Protestant Theology at Johannes Gutenberg University Mainz (JGU) and the University of California in Los Angeles (UCLA) this year again conducted excavations on the ancient hill of Jaffa in Israel. 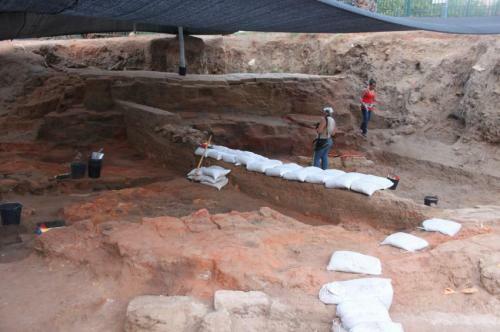 The recent excavations have not only shed new light on the destruction of elements of the fortification, but also unearthed evidence pointing towards the presence of an Egyptian population on the site. Historically, Jaffa, now part of the city of Tel Aviv, is the oldest port documented in world history. Ever since the 2nd millennium B.C., Jaffa has been home to intense trading activity. The remains of a gateway belonging to an Egyptian fortification dating to the dynasty of Ramses II (1279-1213 B.C.) had already been discovered during excavations led by the former municipal archaeologist Y. Kaplan in the 1950s. However, the findings from Kaplan's digs have never been extensively published. The Jaffa Cultural Heritage Project, whose partners include the universities in Mainz and Los Angeles as well as the Israeli Antiquities Authority and the Old Jaffa Development Company, not only aims to publish the findings of these older excavations, but also conduct new digs at sites around the city. The goal of this year's excavations was to clarify the history of settlement during the 2nd millennium B.C. by investigating the phases of the fort's destruction and the nature of the Egyptian presence. The German site director Dr. Martin Peilstöcker of JGU explains that it has now become clear that the gate itself was destroyed and rebuilt at least four times. Moreover, it also appears that there is more than just the mud brick architecture and household pottery that reflect Egyptian tradition. In fact, a rare scarab amulet has been found that bears the cartouche of the Egyptian Pharaoh Amenhotep III (1390-1353 B.C. ), thus also attesting to the presence of an Egyptian community in the city. Some of the discoveries made during the excavations are to be put on display in a special exhibition at the Bible Experience Museum Frankfurt in 2013.